in confidence through our faith in him. 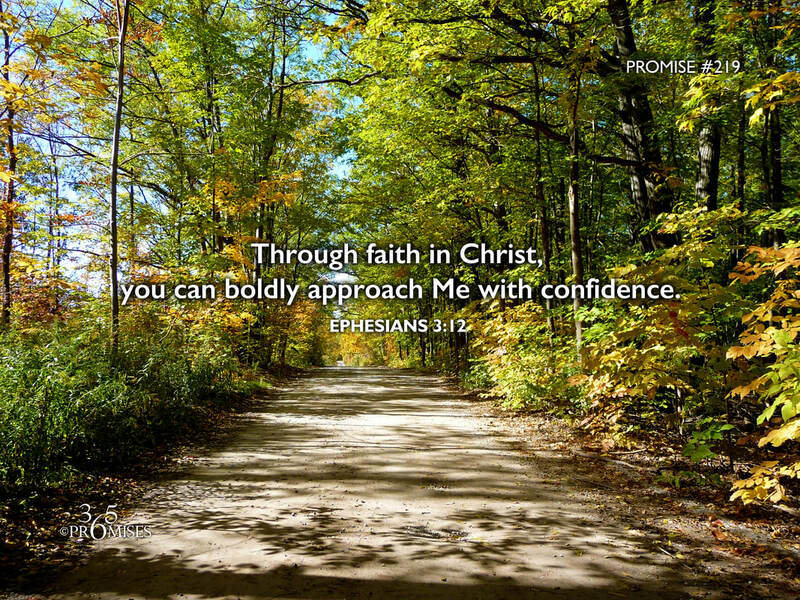 The NIV Bible says Ephesians 3:12 in this way... 'In him and through faith in him we may approach God with freedom and confidence.' What a glorious promise! Through our new life in Jesus Christ, we have complete and unrestricted access to our Heavenly Father. Though angels bow down in reverence to Almighty God, we can call Him our Abba (Romans 8:15). Though He holds the earth in the palm of His hand, He calls us His little ones. Praise God for giving us an amazing salvation through our Lord and Savior Jesus Christ! In the great exchange that happened on the cross, Jesus exchanged His life for our life. We no longer live apart from Christ (Galatians 2:20), so being in Christ, we have full access to our Father just like Jesus does. As a matter of fact, in Colossians 3, Paul says that we actually are hid with Christ in God, seated in the heavens! As a father, I would be disappointed if I felt that my children were afraid to come into my presence. They are my children after all! They are welcome any time, night or day! If dads are intended to be a shadow of the perfect Father (Matthew 5:48), how much more is it His desire that we come boldly into His throne room with freedom and confidence? May each one of us be encouraged today to come into our Papa's presence with a new boldness. Not because of anything that we have done, but because our big brother, Jesus Christ, the Lamb slain before the foundation of the world, has made the way for us to approach God with a confident expectation that He will receive us and put us on His lap, day or night.